You want privacy? 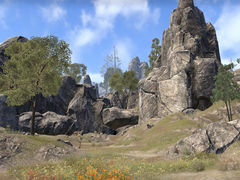 What could be more private than lost and forgotten Nedic ruins in a remote corner of Craglorn's backcountry? Especially recommended for overthrown despots, retired master assassins, and Ministers of Finance exiled for embezzling. 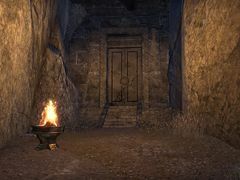 Earthtear Cavern is a player house in western Craglorn. It is only available from the Crown Store. 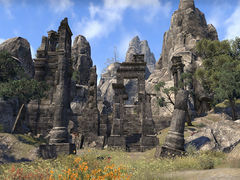 Despite being described as a Nedic ruin, the architecture actually resembles the nearby Yokudan ruins as Redguards later occupied the cavern. Earthtear Caverns also appeared in Shadowkey. 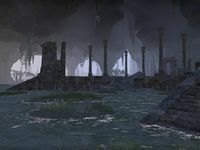 The ruins outside the cavern entrance were added to the game world in Update 13. The house was added in Update 13, but could not be purchased until March 9, 2017.